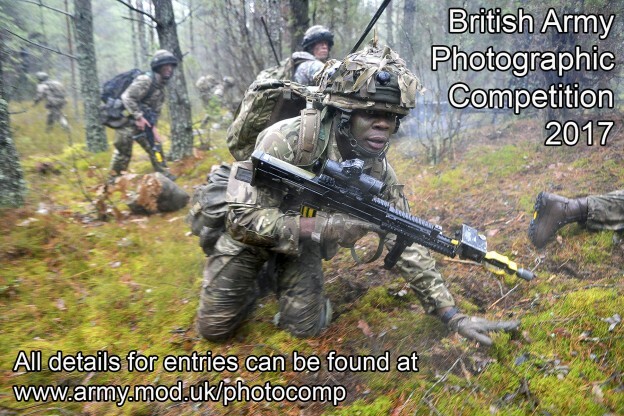 The annual Army Photographic competition is back this year with a new category called â€œOP Cameraâ€ which has previously not been open to the public. The Army has also created a special new category for cadet organisations called â€œCadet Lifeâ€ which is open to all young people in the Army Cadet Force or any section of the Combined Cadet Force. In both categories, judges will be looking for high quality photographs that can be used to promote the Army across traditional and social media channels. â€œThe advantage our photographers have is that, as soldiers first, they deploy on operations with other soldiers to capture life on front lines and training areas around the world,â€ said Mr Craig. Other categories in the Army Photographic Competition â€“ including video, for social media – remain open to any Regular Army and Army Reserve personnel, as well as cadets including the Army’s University Officer Training Corps. Ministry of Defence civilians who work directly for the Army can also enter. The competition is also asking the public to vote for their favourite picture by following the Army channels on Facebook and Instagram.